This summer we’ve been busier than ever creating the beautiful and unique for our fabulous customers! 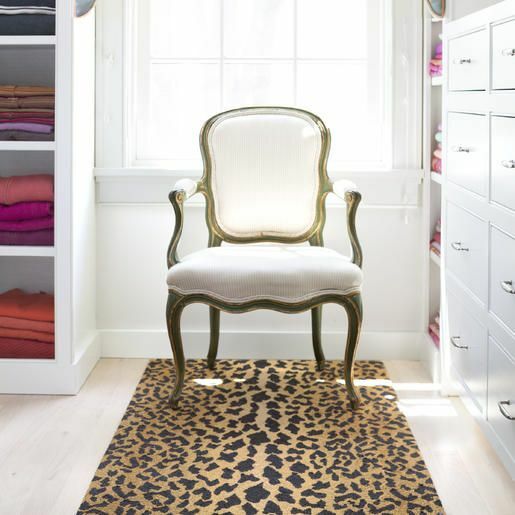 High end designer fabrics in the perfect colorways mixed with proportional scales and patterns warm up spaces and make designing projects really fun! With fall right around the corner, we know you’ll want to freshen your home with lovely pillows, tablecloths and window treatments, so let the inspiration begin. We’ve expanded our reach a bit by adding Instagram to your choice of discovery. Follow us on Facebook, Twitter, Pinterest, Instagram & of course, right here on the blog! Stop by the shop today at 1410 Market St. in Tallahassee’s Market District. 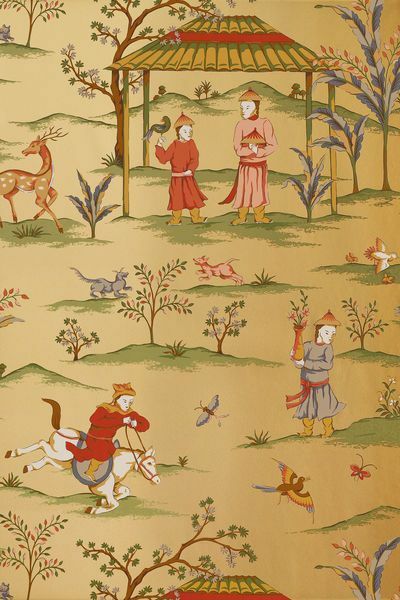 You’ll find the area’s largest selection of in-stock decorator fabrics, plus a book room full of special order, designer textiles – sure to please. Call ahead to make an appointment (850-224-2924) and our talented design staff will personally assist you in creating the home of your dreams. 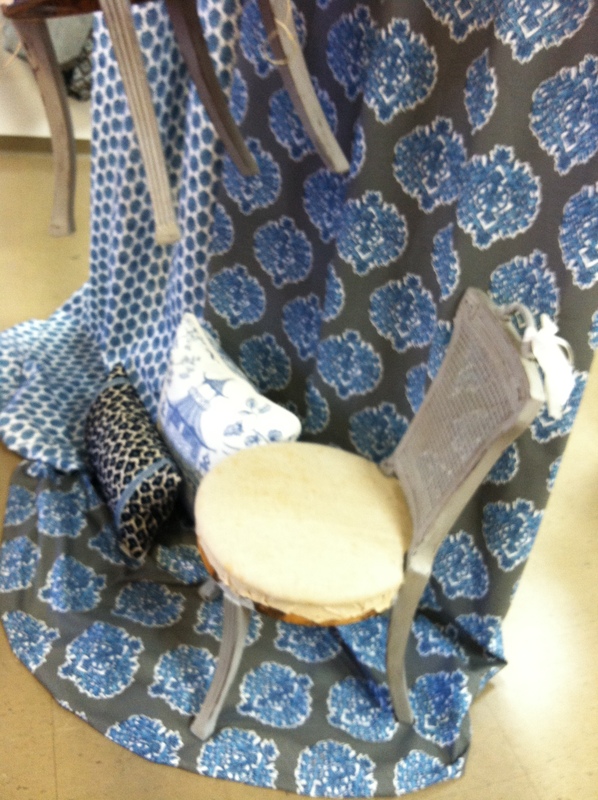 From Inspiration to Installation, Concept to Creation – We Do Custom! 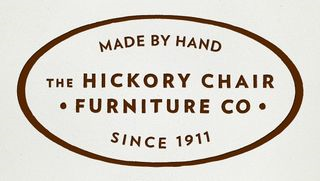 The Hickory Chair Furniture Co. began one hundred years ago in Hickory, North Carolina with a single product and a simple vision. 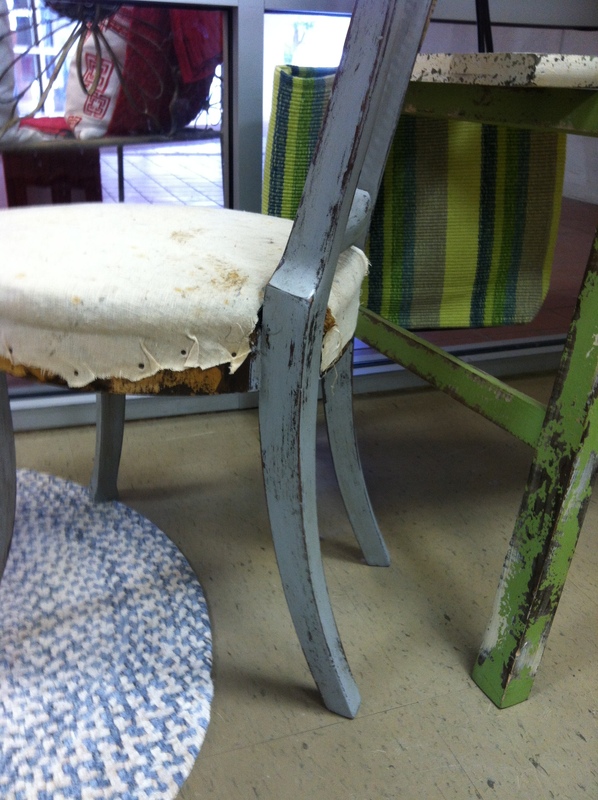 The product was a made-to-order dining chair. The vision was to combine the authenticity of classic craftsmanship with the efficiency of modern manufacturing. 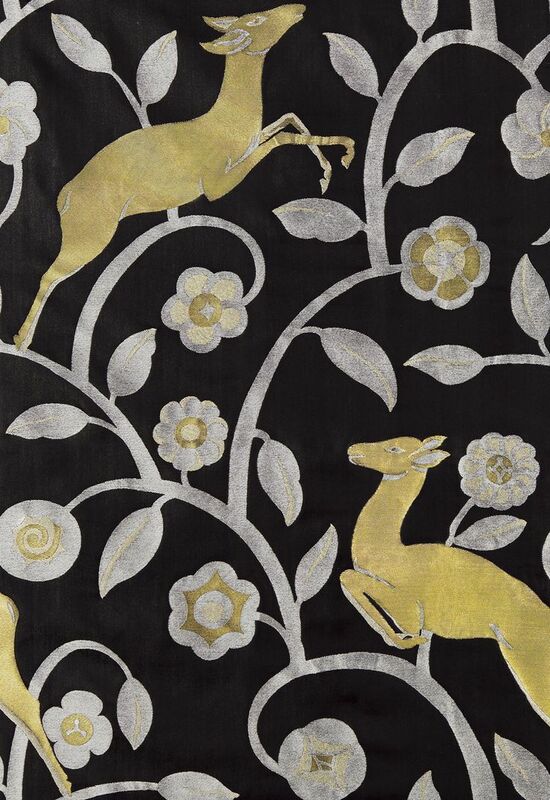 In the decades since, the product range has evolved into an assortment of timeless designs, drawn from significant periods and places, and from the talents of some of the world’s most respected designers. Guided by a genuine commitment to custom craftsmanship and timely service, the Hickory Chair Furniture Co. style is still distinguished by an authentic, timeless spirit. As a proud Made in the USA manufacturer, almost 90% of their furnishings today are made in their Hickory, North Carolina workroom. 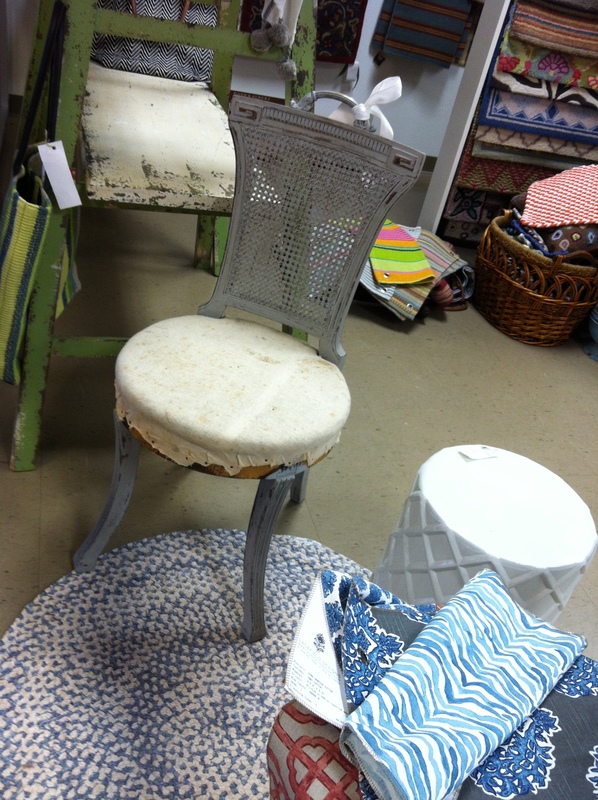 While Celebrating 100 years of Hickory Chair, we are showcasing their vintage style with our very own treasures. 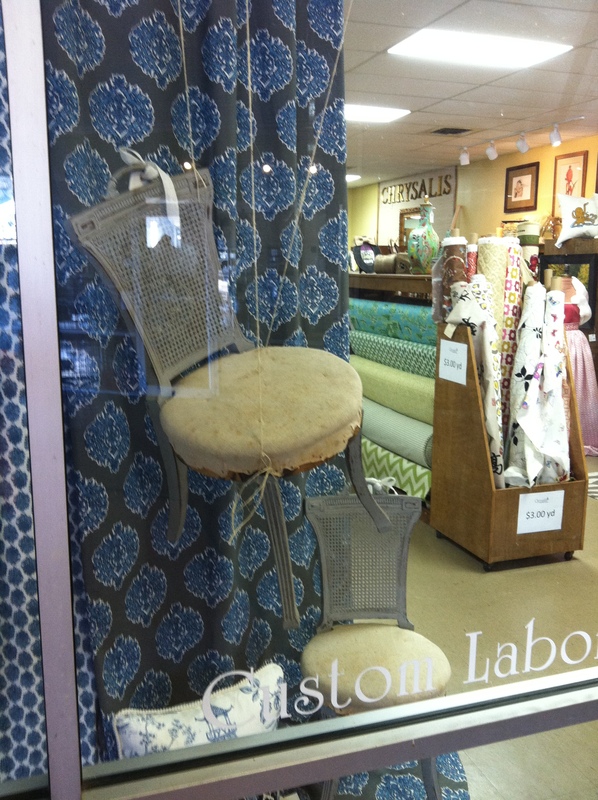 It was love at first sight when our girls found these adorable vintage cane back chairs with solid wood construction and a charming decorative brass handle. Our adorable chair no. 809, circa 1961, measures H36 W 18 D 20. 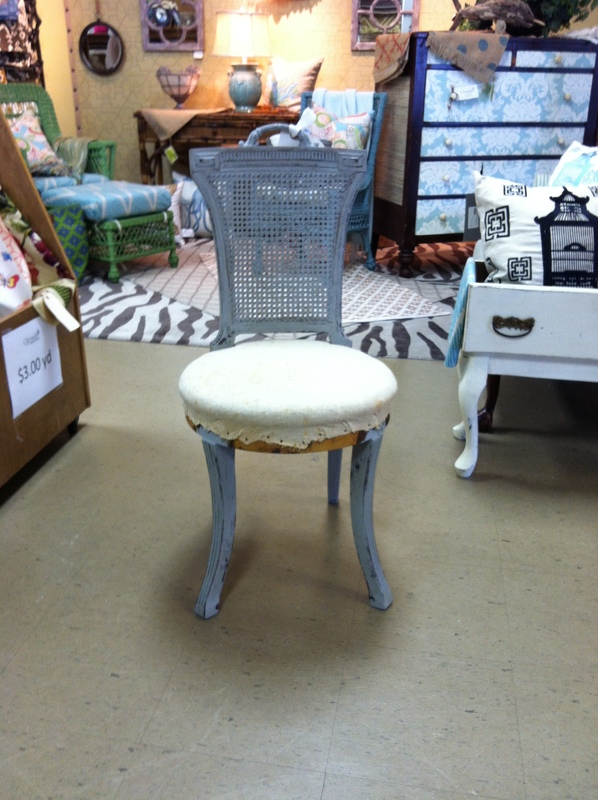 Refinished in French Linen gray, slightly distressed and waxed is ready for a beautiful new fabric to become a showstopper in your space. At only $149, the chair is much less than those found on Ebay. With a little nod to Anthropologie visual merchandising, we’ve hung the chairs at the store front with a backdrop of beautiful designer fabrics that just arrived. 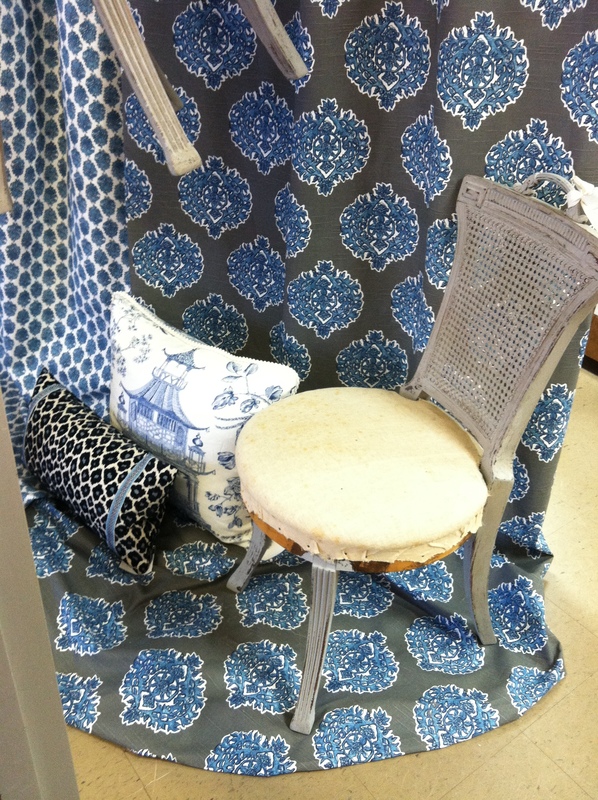 Fabulous custom pillows compliment the space and…. what’s not to love! 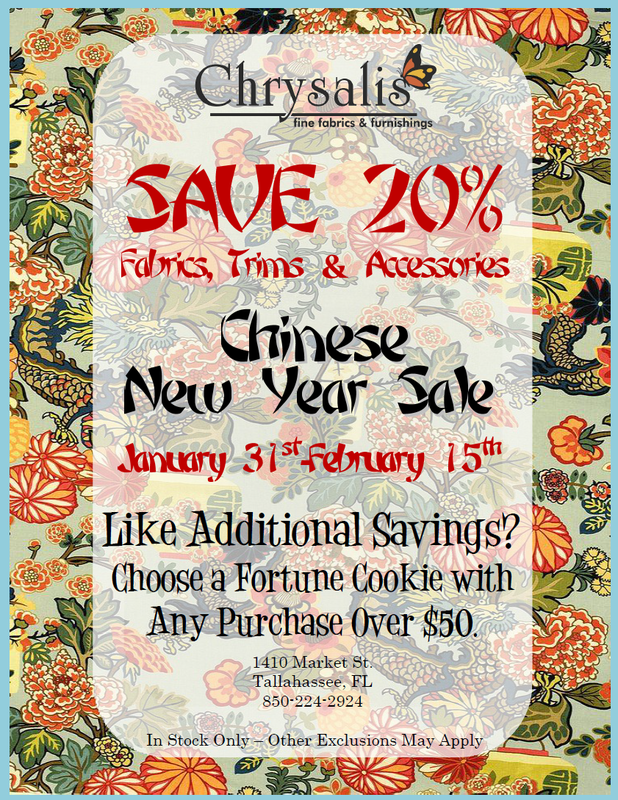 As a bonus – Shop between January 31st and February 15th during our annual sale to receive 20% off in stock fabrics & trims. 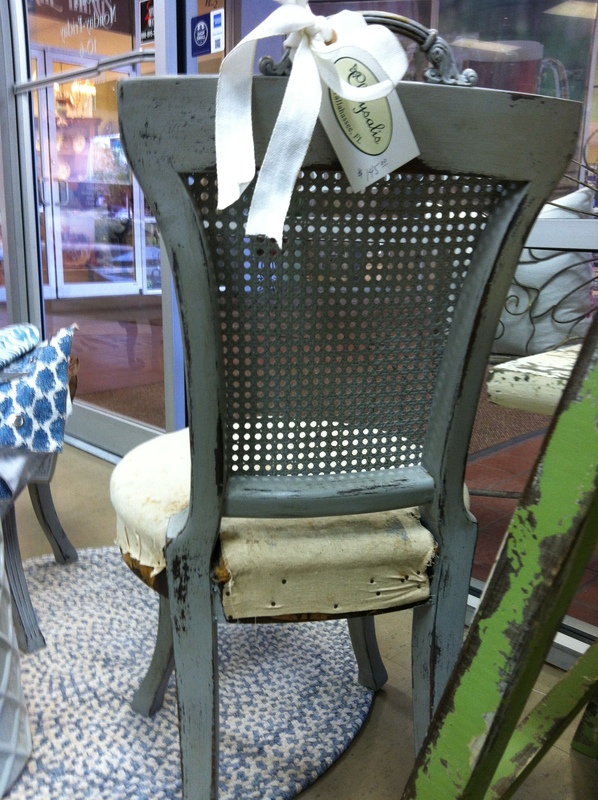 Say you saw this blog post and you’ll receive 20% off the vintage chairs.